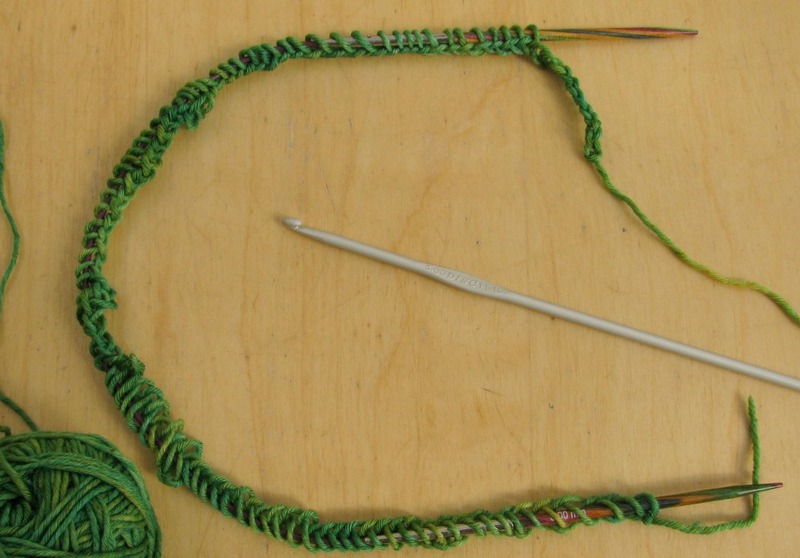 This week we're starting our first Knit A Long! Kate describes the pattern "This jolly tea cosy features a carousel of Shetland sheep and offers a small sampler of many of my favourite hand-knitting techniques: stranded colourwork, steeks, vikkel braids, corrugated ribbing, i-cord and centred double decreases. 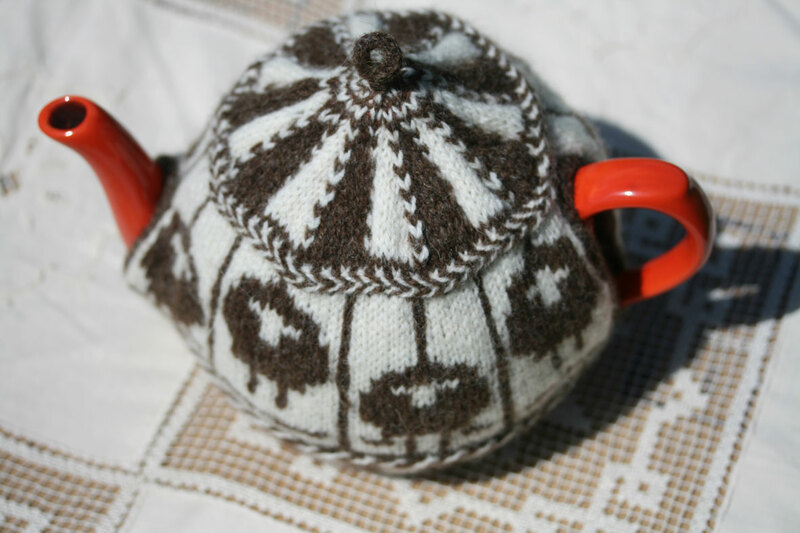 Practice on your teapot before trying these things out on a sweater!" We think there must be more knitters like us who haven't tried these techniques and we'd like to invite you all to join in as we learn about vikkels and centred double decreases and cutting up our knitting... eek! We'll post regular updates on our own progress and links to helpful tutorials. We'd like to encourage you to do the same, here or on Facebook or in our Ravelry group. There is no set timetable to this KAL you don't have to wait for us or indeed follow the same schedule. The information we provide will always be available on the website so you can dip in and out as you want. To protect Kate's copyright we will obviously NOT be reproducing the pattern on this website. We'll be talking generally about techniques. Last week we shared our colours. This week we intend to cast on and attempt the first rib section. Casting on immediately presents a 'new' technique. A provisional cast on. A provisional cast on means that you are keeping your cast on stitches live. So that you can go back later and do something else to them - like knit in a different direction or do a fancy bind off. Kate has sugggested a video tutorial by Lucy Neatby which you can find here. Kate also suggests this method Turkish Cast On, shown here by Asa Tricosa. If you have another preferred method please share! I used Kate's suggested tutorial by Lucy Neatby and found it very straightforward. However I have not tried to unzip this cast on, i.e. put the live stitches onto a needle again... but I'll deal with that later! As the pattern suggests I used some left over sock/4ply yarn which is a different colour to the ones I'm using in my Sheep Carousel. We're currently offering the pattern and 2 balls of Jamieson's of Shetland Spindrift for £7 (until 17th September). You can follow our progress and share your own here or on Facebook or in our Ravelry group.